Abstract: Scientific technology is paramount in revolution. Recently, a brand new travel revolution has been launched based on excellent application of science and technology. 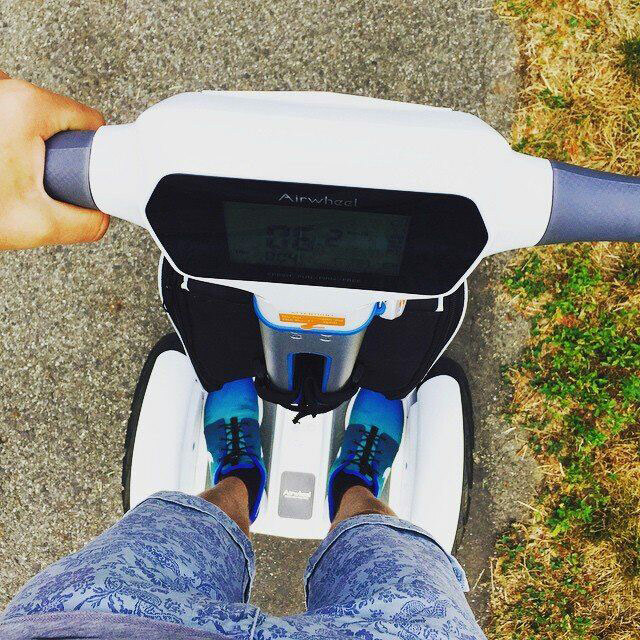 It leads to the advent of intelligent self-balance scooter, which is amazing and environmentally-friendly. Human beings cannot run as extremely fast as leopard due to their physical limitations. However, they have invented cars and planes to strengthen themselves with science and technology. Nowadays, a fresh means of transport has sprung up and greatly influenced people’s lives. Electric self-balance scooter, with its fantastic design and zero carbon emission will definitely spread across the globe. Electric self-balancing unicycle is a newly-developed portable intelligent device which has a small market segment. The balance is controlled by gyroscope and acceleration transducer. When the tilting angle sensor inspects inclination of the vehicle, the built-in intelligent chip control system will sense a corresponding moment of force. Then the motor will drive the wheel to move towards where the vehicle falls down to control dynamic balance of the vehicle. Although dynamic balance principle seems quite simple, it takes the Airwheel R&D team nearly 5 years to develop this technology. Actually, Mr. Zuo’s standpoint is acknowledged by Airwheel’s market competitors. A number of extremely expensive brands have made price compensations in recent years. Statistics reckon that most ordinary people will be able to afford electric self-balance scooter in the future and thus it will promote the trend of travel in a low-carbon way.